As regional conveners and engagement facilitators, regional alliances can help states bring together diverse partners, including multi-payer stakeholders, in a neutral way to develop collaborative solutions to improve health care delivery. As data service providers, regional alliances can support state efforts with data identification, research, aggregation, validation, and analysis to support health improvement efforts. State-alliance partnerships can provide comparable support to providers. 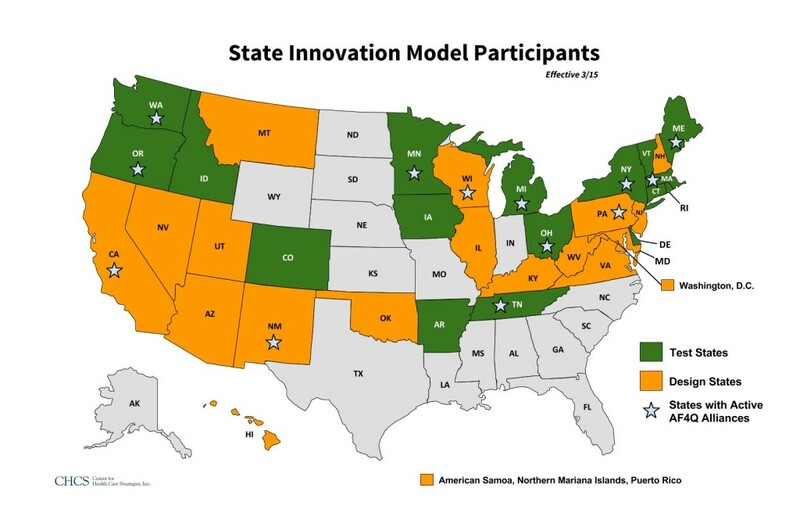 In defining a sustainability model, alliances can serve as capacity builders to maximize the states’ resources and the potential to sustain results across regions beyond the SIM award period. In developing and operationalizing innovation and other deliverables, alliances can support risk mitigation strategies and efforts to support practice transformation support.